I’ve realized something over the past several years of parenting school-aged kids: July is really the only true month of summer. June doesn’t count, because they’re still in school for at least half of it. And August doesn’t count, because I spend most of the month thinking about, planning for, shopping for and getting organized for Back-to-School time. Nope…if we’re talking about full-on, relaxed, in-the-moment (as much as I ever manage to be) summertime, July is all we’ve got. That means a month of trying to take advantage of as many opportunities as possible to have some fun together, a month of balancing camps the kids want to attend with lots of downtime at home, a month of leaving the meal plan and really, all plans, just a little bit looser than usual because sometimes things come up and you want to be able to chuck everything and go with the flow. 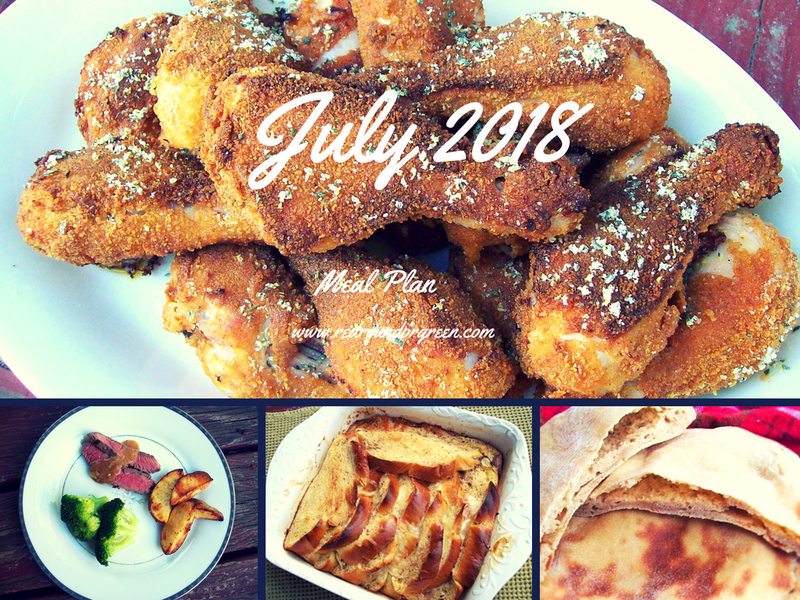 In July, I’m not worried about stocking the freezer or trying to stay one step ahead of myself; instead, I’m trying to step back and get off the giant hamster wheel for a little while. So here’s our imperfect, wildly changeable meal plan for this single month of summer. Imagine that most of it will happen outside, if it happens at all. Wednesday, 7/4: Hot dogs, from-scratch baked beans and fruit between a (hopeful) day at the beach and evening fireworks! Saturday, 7/7: Our nephew’s graduation party — no cooking tonight! Sunday, 7/15: My choral group is hosting a fundraising picnic at the polo matches in Newport. If we make it down there, we’ll tote a picnic basket — not sure what will go in it yet! Saturday, 7/21 – Wednesday, 7/25: Family vacation!